In order to have his treason sentence commuted, Captain Nathaniel Adam takes part in a secret government experiment in 1968…and gets thrust 18 years into the future in Point Of Origin.<br />Captain Nathaniel Adam has been found guilty of a crime he didnt commit. The Air Force is offering him a second chance, under the control of Colonel Wade Eiling, to go under an experiment using an unknown alien alloy. As an unexpected side effect, Nathaniel leaps into the future through the Quantum Field from 1968 to the year 1986. 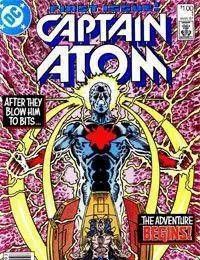 He must now get help from Doctor Heinrich Megala, the man who started Project Captain Atom!